Format: This is a Single Day tournament. We will play a time based event from 9am - Noon. There is no gender or ability divisions, everyone will be mixed up and will rotate randomly with different players every few games played. This will be DOUBLES. Why, oh why are we doing it this way?We are trying new formats which do not require people to have flexible plans all weekend. We know everyone is very busy these days or has kids in a multitude of activities. We also end up having to drop divisions due to low numbers or combining them, alienating some players or ability levels which don't have big enough turnout. It also allows everyone to play someone new instead of playing the same 6 teams every year, every tournament. I have hesitations about the level of play...:yes there will be a great variety of players at the event, but that can also be said when we have divisions. Everyone can always practice or learn from playing someone new or at a different level. If you believe the level of play will be too good, this is a good chance to push youself. If you believe the level might be too low, perhaps you try that serve and volley you never like to do? Entry Deadline: Wednesday, August 22 by 5:00P. 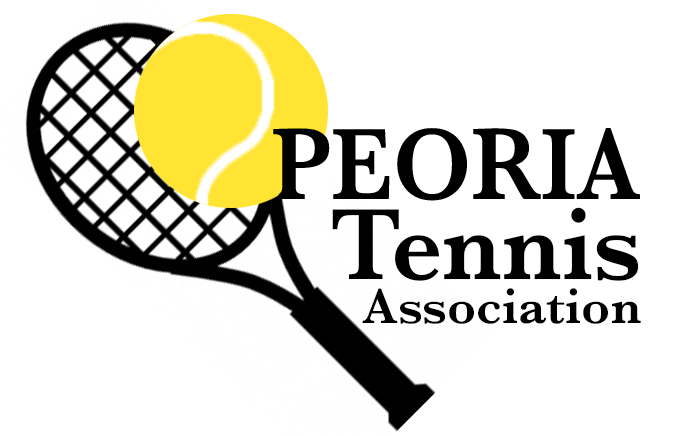 Acceptance of my entry in these events is without assumption of responsibility of any kind by the Peoria Tennis Association, its sectional association, the committee and park in which it is held. In consideration of the acceptance of my entry I do hereby for and on behalf of myself and my heirs and legal representatives and their successors assigns from any and all claims and demands of every kind, nature, and character which I may have or hereafter acquire for any and all damages, losses or injuries which may be suffered or sustained by me in connection with my activities during the period for which such permission is granted and any period traveling to or from the event described.